Fernando Espinosa de los Monteros as Vice President of the International Scientific Committee of 20th Century Heritage -ICOMOS-ISC20C-, has organized in collaboration with the Campus of International Heritage Moncloa-Cluster, the first International Scientific Conference on the "Intervention Criteria on the 20th Century Architectural Heritage" -CAH-20thC-, held in Spain. 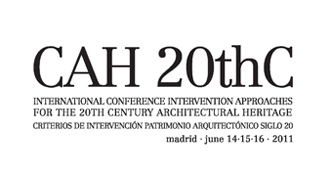 The conference will feature renowned architects among its speakers and will take place at the School of Architecture in Madrid - ETSAM - during the days 14th, 15th and 16th June , 2011. 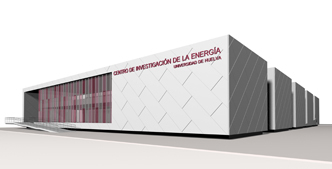 EMA Espinosa de los Monteros and Architects associated has won the first prize in the 'Competition of Ideas with Jury intervention for the selection of the Building Project for Centre for Energy Research at the University of Huelva. " EMA's draft has been chosen among 59 proposals submitted. It is a modular building that produces flexible spaces while allowing for specialized and industrial construction, fast performance and low cost. It is also a technology and sustainable building, which offers a modern and rotunda. Vía construcción emphasizes repetition and sequence of elements or modules building model as a basis for generating architecture by EME Architects . The Government delegate in Madrid has opened the third police station Municipal de Alcobendas, whose project was conducted by EME Architects. ABC INMOBILIARIO stated in its issue of Friday 12 September 2008, the project conceived by EME Architects of the rehabilitation of the building of the Salamanca district of the Calle Villanueva 8. It emphasizes the importance of rehabilitation in a building custom of this nature.